Main attraction! Don't let hummingbirds go fluttering by without stopping for a snack at this charming feeder. 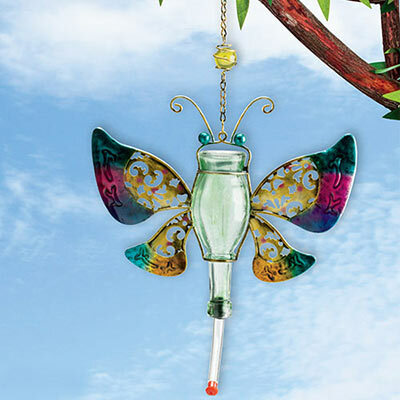 Colorful glass lures them in to feed on bottled or homemade nectar. Easy-care stopper makes filling and cleaning a snap. Holds 2 oz. Approx. 9"h, 7"l chain.